Last week’s shocking news of a mass elephant poaching discovery in Botswana has taken the world by storm. 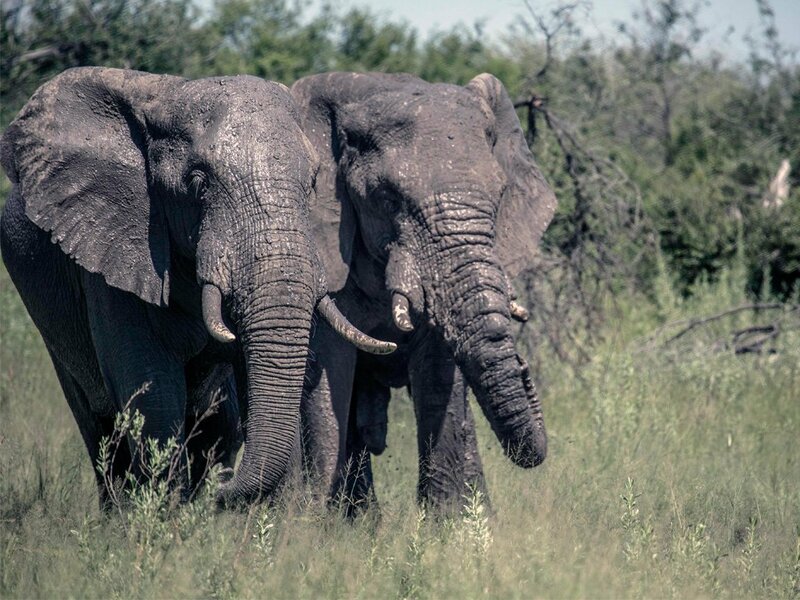 Initial reports suggested that 87 elephant carcasses were found, stripped of ivory, and that this spike in poaching coincides with a new government policy to disarm Botswana’s anti-poaching unit. The government hit back alleging that information had been manipulated and that the data presented was fatally flawed. The issue has since sparked global condemnation from wildlife conservation organizations, drawn awareness to human elephant conflict, and raised questions over whether tourists should travel to the country. It’s a seriously packed issue with far reaching repercussions, and it has the potential to effect wildlife management in the country as well as tourism. In order to try and make sense of this sad news and its implications, we need to unpack the events as they happened, put them into context, and work out how to best move forward and address the poaching issue in a way that matters. 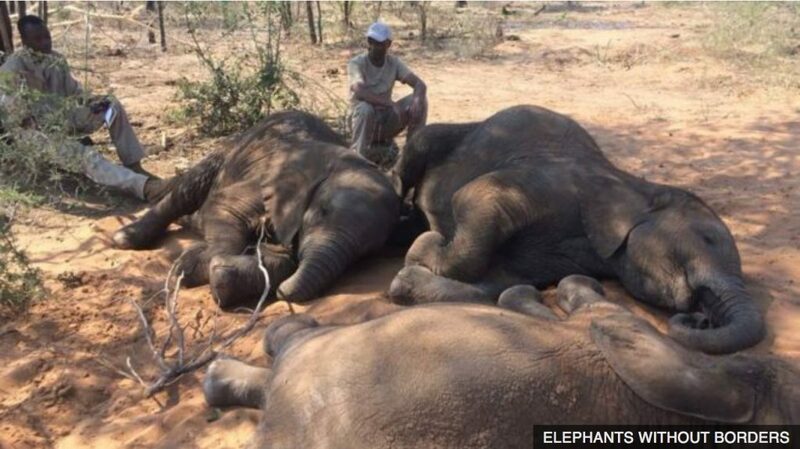 The BBC was one of the first agencies to launch the story on the 3rd of September in an article titled Dozens of elephants killed near Botswana wildlife sanctuary. Shocking images accompanied an account of elephant slaughter by Dr Mike Chase from Elephants Without Borders. With funding received from the Botswana government, Elephants Without Borders conducts occasional aerial surveys of specific territories to count the numbers of visible elephants while flying grid patterns or transcepts to cover as much land as possible. The last complete northern survey was conducted in 2015, but it was during a newer survey earlier this year when the elephant carcasses were apparently spotted. As shocking as the news was, it was curious that the wildlife sanctuary or area where the poached elephants were found was never directly named by the BBC. Furthermore, no time stamp was given on the alleged poaching of the elephants. 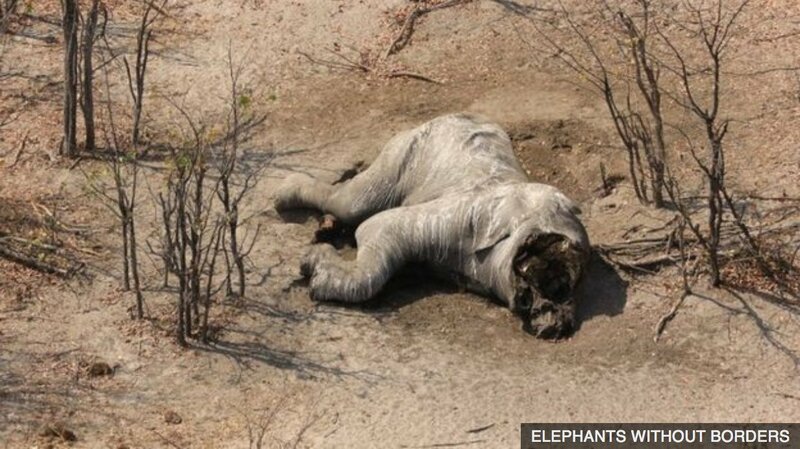 The implication put forward by the BBC was that 87 elephants had been poached over a short period of time, when in reality, the only substantive information relayed was that 87 elephant carcasses had been identified from the air over a large tract of land. The article also opened with an image of sleeping baby elephants (quite common in winter in Botswana), which lead readers to assume that these baby elephants were among the elephants killed. Questions were immediately raised in the local media over the area in question, the validity of the numbers, and the choice to release news of the findings while Botswana’s President Masisi was on a state visit to China (the world’s largest importer of illegal ivory). The government of Botswana then released its own official response claiming that the alleged elephant killings were sensationalized to create global hysteria and that the figures were unsubstantiated. According to government, a report submitted by Elephants Without Borders to the Ministry of Wildlife and Tourism shows that the group had in fact only counted 53 elephant carcasses. This report was submitted in early August, and according to the Office of the President, a verification mission was then carried out that established that the majority of these elephants were not poached but rather died from natural causes and others from retaliatory killings as a result of human/elephant conflict. Subsequently, the issue was further polarized by an international effort to boycott travel to Botswana under the hashtag #boycottbotswana. This in turn spawned an overwhelming response from locals in support of their government. 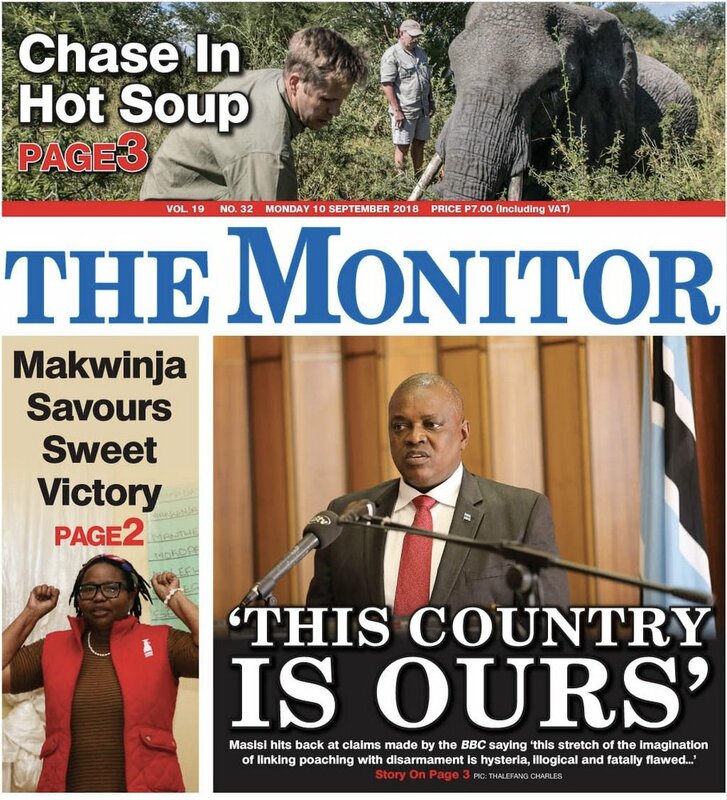 Local media began to trash Dr Chase and the Elephants Without Borders report and also got inline behind President Masisi. Ire soon turned to rage, and it wasn’t long before the twitter page for Elephants Without Borders turned into the stage of an internet throw down of epic proportions. Insults were thrown and accusations were hurled; all with a not-surprisingly complete lack of evidence. It was typical online carnage at its worst and trolling at its best. And the global media? Well. They. Ate. It. Up. So what’s really going on here and why is this such a polarized issue? We have two vastly different accounts of elephant killings from two generally credible sources which have spurred two very polarized points of view. Elephants Without Borders, a private charity funded by Wilderness Safaris, and contracted by the Botswana government to carry out the aerial survey, and the government itself which has enjoyed numerous praise and accolades for efforts to conserve all wildlife within its borders. So why the disconnect between two groups both claiming to protect elephants? To call the issue politically inspired may not be too far off the mark. Especially as both sides appear to be using this as an argument. On the one side, Elephants Without Borders claims the elephant killings happened as a result of a new government policy to disarm Botswana’s anti-poaching unit. On the other side, there is speculation that unsubstantiated figures and the promotion of the story on the international stage is tied to ex-President Ian Khama’s ongoing feud with his successor President Mokgweetsi Masisi. One analyst recently claimed that the clash between the two public figures could in fact insight violence if not handled correctly. In May this year, President Masisi withdraw military weapons and equipment from the Department of Wildlife and National Parks effectively disarming the body run by the ex-President’s brother, Minister Tsekhedi Khama. 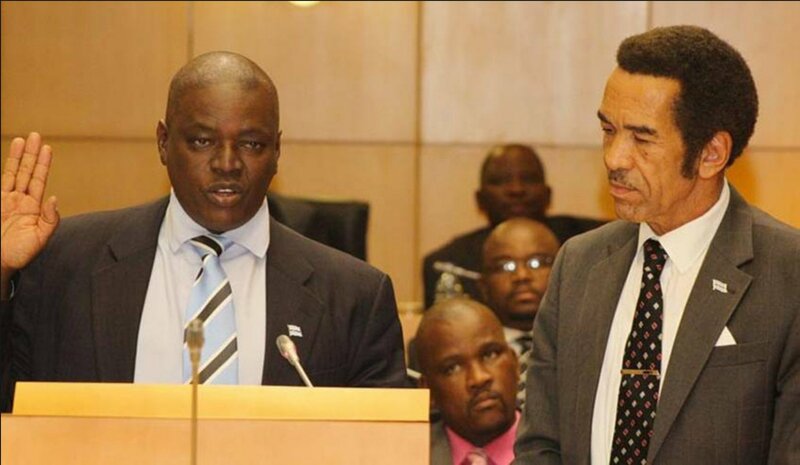 This was just a month into his presidency and the move created tensions between Masisi and Khama groups. The reasoning used by Masisi was that the withdrawal was in sync with existing legislation which does not allow anyone but the military to operate military grade weapons. Following the news of the elephant killings, public figures and conservation groups (led by Elephants Without Borders), directly blamed Masisi’s move to disarm the anti-poaching group for the deaths of the elephants. Even Ex-President Khama made a statement last week blaming increased poaching in Botswana on the ‘unfortunate’ disarming of wildlife officials. However, it was subsequently revealed that the area where Elephants Without Borders discovered the elephant carcasses, had never been under the protection of the anti-poaching unit. Rather the area is patrolled by the anti-poaching division of the Botswana Defense Force – a group feared by poachers throughout Africa for their shoot-on-sight policy. It seems Masisi only disarmed the poaching unit under the control of the Ministry of Wildlife and Tourism (read: Under Khama control). Furthermore, this group was only ever relieved of military grade weapons and they retain semi-automatic weapons as permitted by a government agency operating outside of the military. 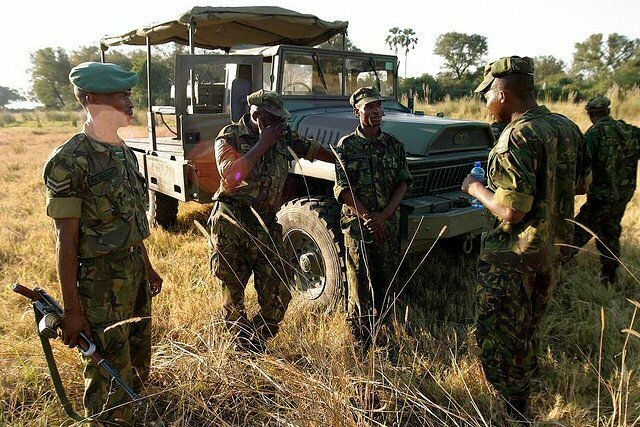 The Botswana Defence Force still retains an active, heavily armed, and well-funded anti-poaching unit; and arguments put forward by groups such as PETA calling for Botswana to restore its anti-poaching efforts now just seem grossly misinformed. A number of further allegations have been laid, including a statement released by the director of Survivor International alleging that ex-President Khama is directly involved with Elephants Without Borders as he is (in reality was) a part owner of Wilderness Safaris, the travel company funding the NGO. Regardless of where one stands on the issue, there is undeniably a political undercurrent happening behind this story. This doesn’t however, make the news of elephant deaths any less shocking. Whether 87 elephants were poached in one day, or whether a far smaller number were killed over a much longer period, the fact remains that poaching is an issue that needs to be addressed. We also need to address human/elephant conflict, perhaps an even greater challenge faced by elephants. It is an issue that the government is addressing, regardless of what twitter might be saying. The new President, has maintained that elephants in Botswana are a natural resource and that the four-year-old ban on hunting will continue. There is an armed anti-poaching group being led by the military, and not a ministry. The notion of a Boycott on Botswana is not only illogical, but it is also considerably counterproductive to remove support from the African country that is doing more to protect elephants than any other. Come and visit to make a real difference. The first way to make a difference is to try and understand the elephant issue in Botswana without giving into the hysteria surrounding a poaching story with too many variables and not enough presentable data. At the end of the day, the best way you can directly support elephants in Botswana is to travel to the country. Your support through the tourism industry directly translates into action that the government can take towards combating poaching and mitigating human elephant conflict. So, come to Botswana. Choose a responsible operator. Visit communities in areas affected by elephants and learn what you can. And spread the word. Your direct participation in the process is the best way to make a difference.